There were signs my life was about to change, but some of the clues were a tad obscure. 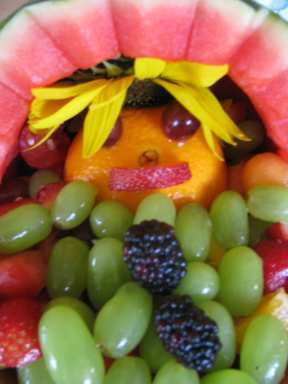 Fruit salad in the shape of a baby tucked in a watermelon cradle? Was I really supposed to understand this cryptic message? All I knew was I wanted someone to feed me my grapes one at a time like always. 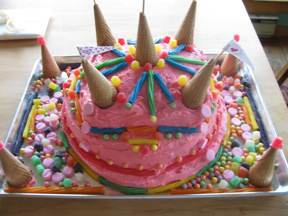 When I saw this vaguely castle like cake at the baby shower, I figured it was about me- given my status as royalty. But I couldn’t read the fine print. 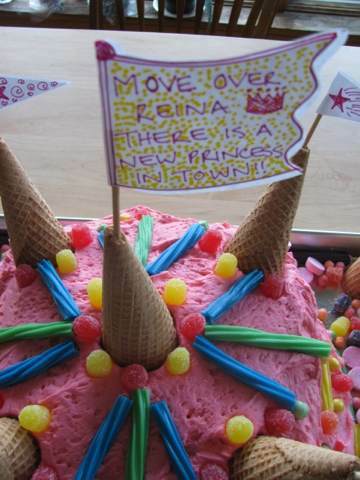 Had I been able to read this obnoxious sign on the top of the cake, I might have been more prepared. But can you ever really be prepared for this kind of lifestyle change? Not to whineâ€¦â€¦. but the last month has been a bit of an adjustment for me. Massages are down. My exercise routine is in an uproar. The incidents with the porcupines did not give me the results I was seeking. I hoped they would take the spotlight off the baby and return it to me, but my new preoccupation with porcupines just seems to have added insult to injury. Let’s face itâ€¦..with Princess Grace in my castle, it has been hard to be the queen I have always been. But I have soldiered on. That’s what queens do. I even found time to do some serious research into Flower Essences. When I ran off into the dark on one of the first days of hunting season, I noted that Anxiety was my people’s choice. They shared it with everyone who came to search for me. 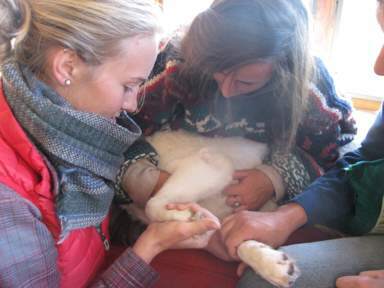 During my ongoing love-fest with porcupines, I learned a lot about the pain relief and calming support offered by steady splashes of Animal Emergency Care during a quill removal. I also learned about the wonders of a concoction of Recovery, Healthy Coat, Anxiety, and the aforementioned Animal Emergency Care for my post quill life. I don’t understand why they are giving me so much Spiderwort also. How is discernment an issue here? Two porcupine incidents in two weeks is an unfortunate coincidence. Nothing more. 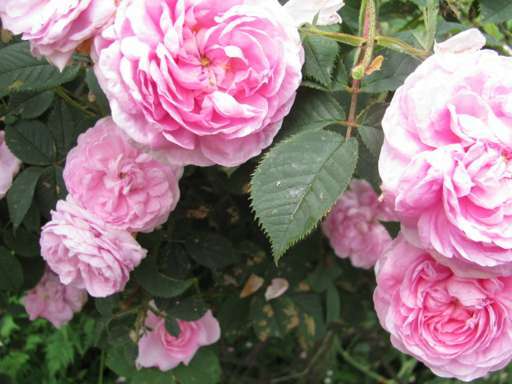 Therese Bugnet Rose was another Essence friend who helped after the first go round with the porcupine. It was the day of the Princess’ birth so only the staff goddesses were there to attend to my needs. They removed sixty six porcupine quills with real panache and skill, but there were two out of reach deeply imbedded in my upper jaw. The vet had to go deep for those two. This meant I had to wear one of those really ghastly plastic cones to keep me from fussing with my stitches. This was tough. I didn’t earn my stripes as a fabulous diva by wearing a lampshade on my head. Therese Bugnet Rose reminded me that my appearance wasn’t everything. I still had my attitude and general diva personality to lean on. It saw me through the rough patch of being exiled to the farm because I whacked everything with the cone. So I was a klutz with my cone. So I ran into doorways and got stuck under the table. I am used to being svelte and able to fit through small spaces. 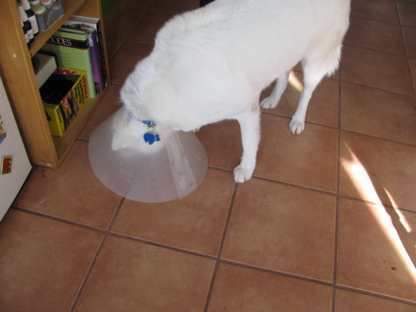 Some people thought I might accidentally whack the baby and that I needed to stay at the farm until the cone came off. I was a good sport about this. I knew I was just like the proverbial Hollywood star- out of sight from her public while her plastic surgery healed. And it did, and the cone came off, and I went home with bells on my toes. Chez Castle Ramirez, Arbor Garden, New Beginnings even Jealousy became my constant companions. Sharing the limelight is tough, but despite the occasional diva moment in which I wanted hand sliced raw meat or need to be brushed just the way I liked it, I did a great job making room for the baby and being kind and gentle to her. A lot better than MayMay who wants to get in everyone’s laps and be held like a baby. What is her problem? Doesn’t she realize that in less than a year the little princess will be dropping treats off her high chair for us? Doesn’t she realize that in order to have a three dog night we need the baby to join us? And let’s face it, even with the squawking, the baby is less annoying than the cats. 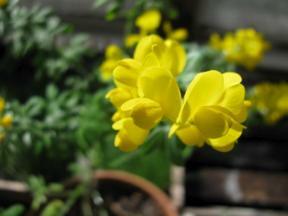 Each autumn, the Angels unveil the new Flower Essences made at Green Hope Farm during the previous growing season. This year the Angels got the new Essences made, their descriptions written and all of them ready to send out a few weeks earlier than usual. We have been sharing these New Essences for a number of weeks and are learning so much from your feedback. Thank you so much! Now, in case you havenâ€™t got the handout about these new Flower Essences tucked into a recent order, here are the descriptions with photos of these new beloveds. 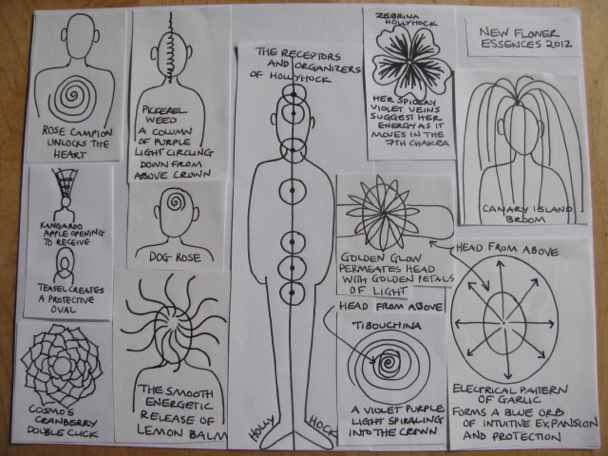 For the first time, the Angels had me draw pictures of how specific Flower Essences move in our energy systems. They also offered some specific suggestions for where to place some of these new Essences on your body. The focus the Angels brought to this yearâ€™s new offerings was intense. They have worked hard to give us the tools to assimilate the new divine energies pouring into creation with a special focus on how to help our upper chakras handle these new energies. In the document below, the Angels talk about what they call the Great Leap, this process of us receiving these energies and also manifesting our greater collective destiny. 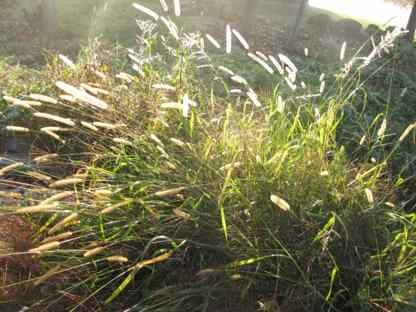 With a thankful heart, I offer the Green Hope Farm Angelsâ€™ thoughts about the Great Leap and their choice of new Flower Essences to help us with this profound and wonderful time! At this particular moment in humanityâ€™s collective evolutionary journey, humanity is being called to move its primary grounding from the lower three chakras and their issues to the upper chakrasâ€™ concerns of heart and spirit.Â This does not mean an abandonment of the issues of the first three chakras so much as a tempering of their concerns with a greater focus on the issues of the upper chakras. The first three chakrasâ€™ focus on physical survival and a personâ€™s place in the physical world will always be a key part of the individualâ€™s spiritual journey to self realization because each person remains in the physical body until self realization. However, in order for each person to grow in consciousness, these concerns must be infused with the concerns of the heart and the realities of greater oneness consciousness. Because humanity is being called to a collective leap from a lower chakra focus to lives that center around the concerns of higher chakras, more higher frequency energy than ever before is on offer from divinity to support humanity to make this expansive shift in focus. In return, each person must make the effort to lift up from grounding primarily in the concerns of the first three chakras to an embrace of the more evolved upper chakra issues of divine will, divine love and divine wisdom. This kind of organized system change is messy.Â Try not to judge yourselves.Â You would not walk into an operating room mid surgery, see things in progress and declare the surgery a failure, so try not to throw in the towel about how things appear to be going.Â Just keep on keeping on, have faith and avail yourself to the tools on offer to support you right now. These Flower Essences are one such tool as are other Flower Essences in the Green Hope Farm Collection.Â The Flower Essences we make at Green Hope Farm are here to help you receive these new higher frequencies and make them your own.Â They are here to help set a template for your electrical system to make the individual and collective changes necessary at this time. 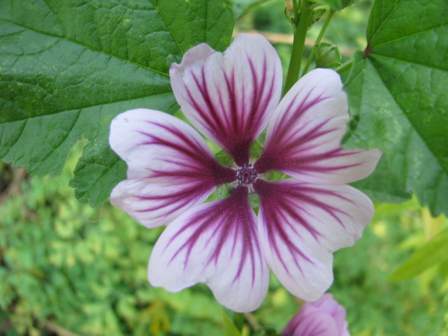 PS from Molly: The new Flower Essences focused on the tasks described above are asterisked. The Angels noted that placing these Essences on external points of our bodies can help them move through our systems and offer their wisdom more effectively.Â Any Angelic suggestion for a specific application of an Essence is explained in the Essence description.Â We also created a page of illustrations noting the energetic movement of these new Essences as this is also a very important part of their vibrational signatures. The spiritual opportunity we have been given right now is ten thousand times as rare as a Blue Moon, and there are many tools available to us to help us make the most of this opportunity.Â This yearâ€™s Venus Garden was a project to create a combination Flower Essence remedy that would help us ride these energy changes in a state of physical, emotional, mental and spiritual balance. The garden design was a yin/yang of Purple and White Flowers.Â In early June, the seedlings from the greenhouse were transplanted into the garden with considerable love and care.Â White Flowers are often more ethereal than other Flowers and not as physically strong, so we were surprised when the White Flowered side of yin/yang was quicker to blossom than the Purple Flower side.Â As the summer progressed, the Purple Flowers became more vibrant and abundant, matching the energetic strength of the White Flowers in the garden.Â In retrospect, we saw how this reflected the way the spiritual energy on offer from divinity (as represented by the White Flowers) is pouring into our energy systems right now (our energy systems being represented by the more grounded Purple Flowers) and how this spiritual energy must be met, embraced and assimilated by us until we make this energy our own. This Essence was made during this August 2012â€™s blue moon and holds all the balancing energies of the Venus Garden, the Flowers in the garden and all the Angels and Elementals who have held the energies of the Venus Garden for the past twenty-five years. 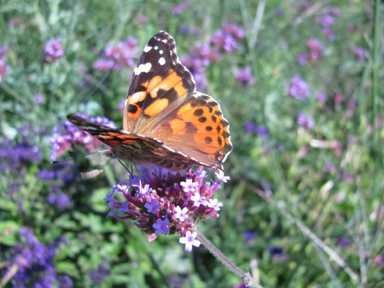 Butterflies were also a part of this Essence creation as the garden was graced with hundreds of visiting butterflies each and every day. Sometimes the symbolism of metamorphosis & spiritual change is hard to miss! Canary Island Broom opens a flow of golden light from our crown down around our energy field in an encompassing arc that becomes in and of itself a protective field of light.Â This flow also supports the manifestation of our spiritual destiny and divine purpose.Â The Angels suggest applying Canary Island Broom to the crown of the head. I AM the fulfillment of the light. *Cosmos Cranberry Double Click Cosmos Cranberry Double Click This deep magenta Cosmos looks exactly like the drawings of the Seventh chakra as depicted in a number of spiritual traditions including Buddhists drawings of this seventh Sahasrara Chakra.Â This Flower is a recent hybridization done in divine order.Â The Angels say it was created to help us embrace the incoming divine energy so our seventh chakras can more deeply blossom than ever before. 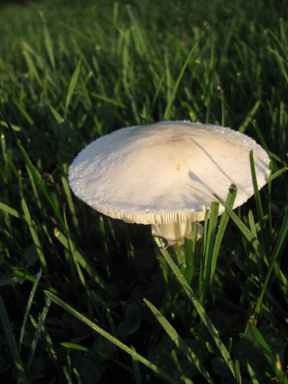 Â The Angels suggest applying this Essence to the crown of the head. 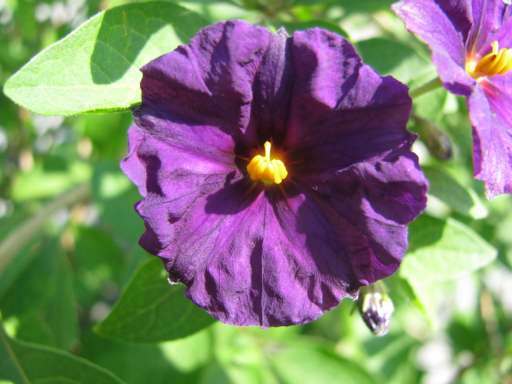 I AM the full flowering of my seventh chakra. *Dog Rose Rosa canina Dog Rose supports a grounded use of pure intuition.Â In addition, when humans work with this remedy, it will help us to more deeply connect to the wisdom of our beloved canine companions.Â Dogs have a very acute intuitive understanding of creation, much more sophisticated than humankindâ€™s, but they are almost always hampered from a full expression of what they know. 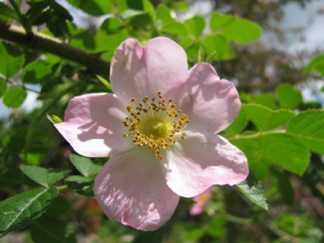 Dog Rose helps us to access their wisdom with them and thus help them to out-picture this wisdom more completely. 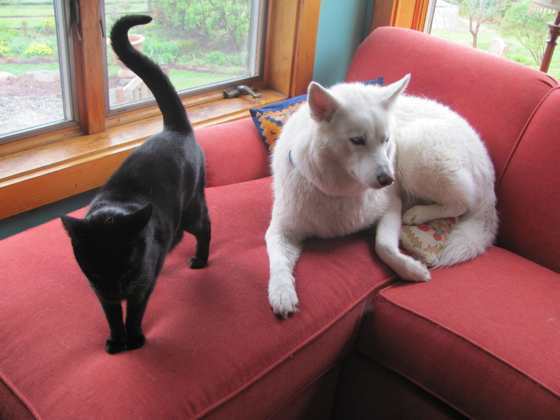 Dog Rose also helps us see what is right in front of our noses in terms of the simplest best solutions for whatever dog related dilemmas we are dealing with.Â When given to the dogs in our lives, it will help them better communicate with us. In every way it helps us all become more unified teams, and it is an excellent remedy for people and dogs to take simultaneously.Â This is a unique remedy for expansion of the sixth chakra! Â Dog Rose can be applied to our third eye, spritzed or taken internally.Â Our canine friends will like placement on their nose and brow or use in a spritzer. I AM the full understanding of canine wisdom. 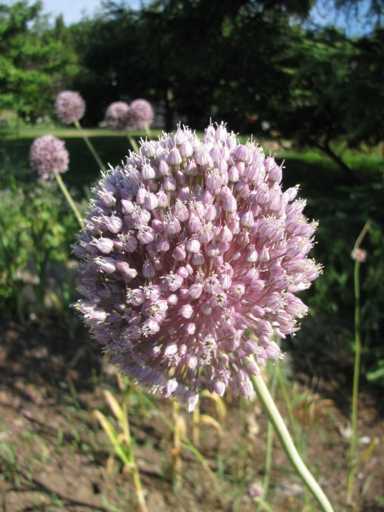 *Garlic- Allium sativum When Garlic flowers, it sends up a very tall wand topped with a perfect sphere of delicate Flowers.Â As a Flower Essence, Garlic is for appropriate relay of electrical data through the sixth chakra aka the third eye.Â Garlic also widens the third eye, thus increasing clairvoyance, but in a coordinated manner.Â Sometimes clairvoyance can be disorienting, especially in our culture, a culture that does not always validate this skill.Â Garlicâ€™s role as a Flower Essence is to help us keep on keeping on even when we are temporarily rocked by our experience of knowing or by peopleâ€™s reactions to what we know.Â This one helps us fully know what we know even if by necessity this knowing is in defiance of the social order. The Angels suggest applying this to the third eye/ center of the brow. Â I AM serene in the experience of divine truth. There is no impediment to what I now. Towering seven feet in the air, Golden Glow likes to grow in colonies of plants, each stalkÂ topped by abundant clusters of brilliant yellow generously full Flowers.Â Golden glow supports us in our onward and upward journeys by helping us access wisdom that has previously been out of our reach and by expanding our conscious awareness of what we know.Â More specifically, Golden Glow is concerned with the nadis, points at which divine wisdom can move in a coordinated disbursal throughout our energy system. The Angels suggest applying Golden Glow in a line from the top of the head down to the back of the neck with a particular focus on placing the Essence on the back of the neck. Â I AM the full knowledge of my divine self. 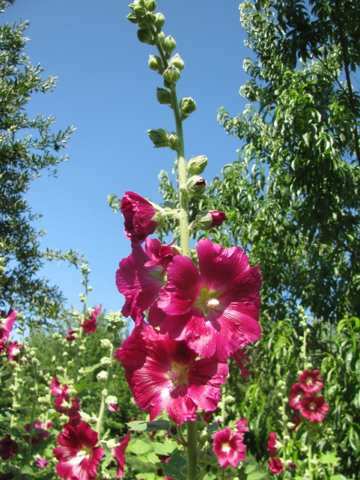 Hollyhock- Alcea The single flowered Hollyhocks used in this Essence help us to smooth and balance all our chakras and enhances our receptivity to the incoming divine energies in all the chakras.Â Its overall balancing support helps steady us as our locus of consciousness moves upward.Â This combination of encouraging an overall balance of all the chakras while simultaneously encouraging our evolutionary upward journey through our chakras is a rarity in Essences. On my evolutionary journey, I AM the coordinated, smooth and balanced function of my electrical system. *Kangaroo Apple Solanum aviculareÂ Kangaroo Apple is a deep purple Flower that expands the crown chakra to link us more deeply with the five chakras that exist in our energy field but above our physical body and above the seventh chakra.Â This is a door opening Flower Essence to the expanded consciousness of these upper chakras, but more pragmatically it helps us translate the incoming divine wisdom and move it more effectively into our physical bodies.Â The Angels suggest applying Kangaroo Apple to the top of the head. 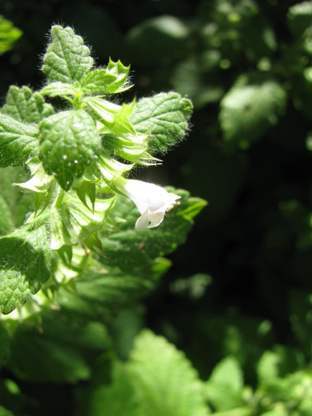 *Lemon Balm- Melissa officinalis Lemon Balm works to clear inflammations in the third eye/sixth chakra. 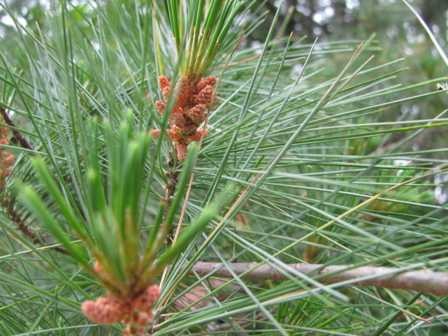 Sinus infections and sinus pain, headaches or muddled thinking are all possible signs that electrical glitches in the third eye might be eased with this remedy. Lemon Balm is a nuanced Essence as it works very gently but persistently to clear impediments to the smooth running of our sixth chakra and the smooth expansion of light in this chakra when more light must be assimilated into this chakra. The Angels suggest applying Lemon Balm to the third eye/ center of the brow. I AM clear and calm in thought no matter the circumstances. 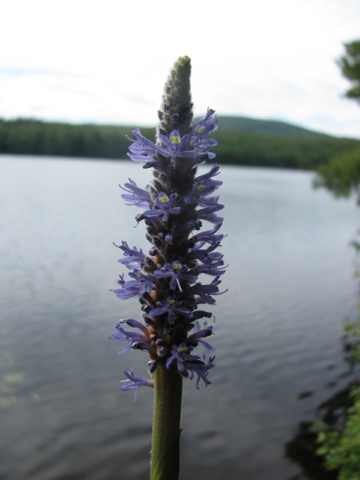 *Pickerel Weed- Pondeteria cordata Â Pickerel Weed is a seventh chakra receptor that helps us continue to receive divine energy even when we are surrounded by emotional chaos.Â This support to stay calm amidst the emotional fray is necessary because these energy changes are going to leave many destabilized people acting out around us. Â Additionally, Pickerel Weed helps us be a torchbearer for received energies as well.Â It helps us stay true to our spiritual principles in thought, word and deed even amidst radical change or extreme emotional stormy times pressing upon us.Â The Angels suggest applying this to the front of the neck in a placement on the fifth chakra, on the third eye and on the top of the head. I AM serene in my role of spiritual torchbearer. I AM the embrace of love. 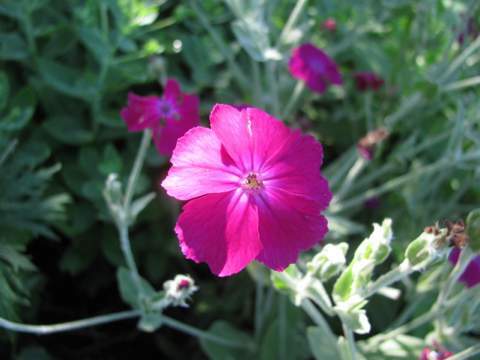 Rose Campion is not a Rose but a biennial Flower in the same family as Maltese Cross.Â It bears striking deep magenta blossoms atop velvety soft white stalks. If we are presented with a situation in which it has been challenging, if not impossible, to find a bead on love, Rose Campion can help us find the opening to transform the situation into an experience of love.Â The Angels describe it as a skeleton key that can open up myriad numbers of diverse â€œlocked downâ€ situations to open us to receive a flood of forgiving, expansive, ever replenishing love. This one is for when we have had a resistant situation that needs to be jimmied open once and for all or when we want to bring the vibration of generous love to a situation that has resisted our best attempts at transformation. This will be helpful right now in increasing the love frequencies each of us can hold in the fourth chakra. 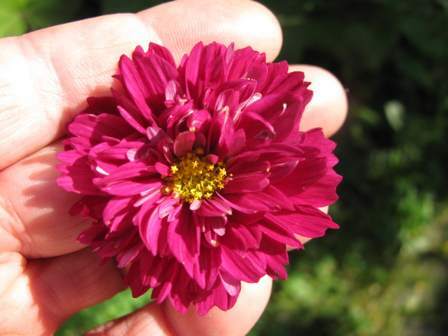 As Green Hope Farm focused on creating many fourth chakra heart Flower Essences before this summer season, be sure to check out the list of other available fourth chakra Essences listed on page 48 of the 2012 Guidebook. In fact, the whole discussion of the chakras beginning on page 47 may be helpful in framing an understanding of this entire group of Essences and may alert you to other Essences offering appropriate support right now. Â I AM the key that opens the door to love. Receiving the divine energy flooding our systems right now can create fiery situations in our physical vehicles.Â Tibouchina works at the very top of our seventh chakra to soften the impact of the higher vibrations as they move into our system.Â This has the effect of smoothing electrical glitches in the seventh chakra that then eases extreme reactions to the shifts throughout our entire energy system.Â It is particularly good for those whose symptoms of change are a dark night of the soul cosmic despair, extreme angst for all creation or who experience their minds running out of control. 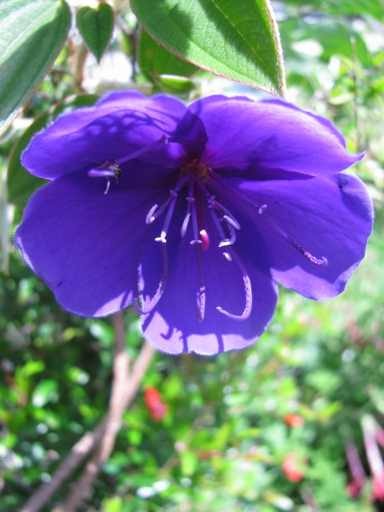 Â The Angels suggest applying Tibouchina to the top of the head. 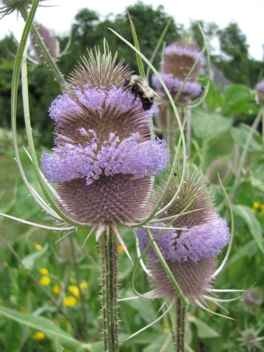 example of how Teasel Flowers have rings correlating to specific chakras. Made to the Angelsâ€™ very specific requirements, this one creates a complete sanctuary for the top chakra so that we can assimilate the new divine energies uninterrupted and in calm.Â Top Chakra Teasel offers very strong protection for the seventh chakra at a vibrational turning point for humanity in which it is important for us to be moving energies in our seventh chakra unimpeded by anything that seeks to disturb. The Angels suggest applying to the top of the head or using in a spritzer bottle to spritz oneâ€™s entire head. I AM serene, undiminished and unaltered by anything that seeks to disturb. This one is for the disbursement of the energy of divine authority and power throughout the seventh chakra.Â It helps us organize chaotic impulses of action and reaction into steady stream of action in alignment with divine energy thus using this divine energy in accordance with the highest good. A more legible version of these drawings is available from us as part of a hard copy of these descriptions! We’ve had more than a week straight of rain. Much needed rain, but I was ready for today’s sun. It felt glorious to poke around in the soggy gardens. 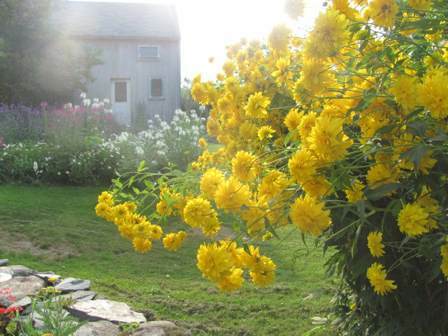 There is so much surprise beauty in a fall garden even as things have been frosted or look a bit untidy. I was particularly taken by the cabbages today. Cabbage was our first logo two decades ago. I like that Cabbage was our beginning. There is something very down to earth about this plant but also cosmic. 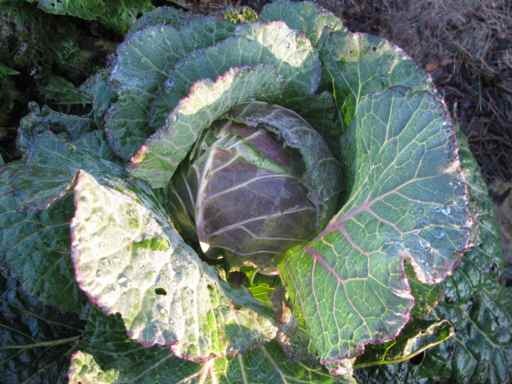 I never felt we got our cabbage art quite right- but what I always wanted to suggest was the way a cabbage cradles its creation just as we are cradled. 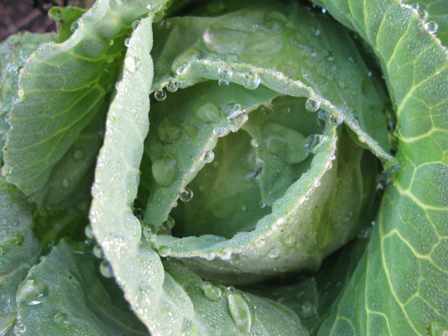 This beautiful cabbage says this so well. 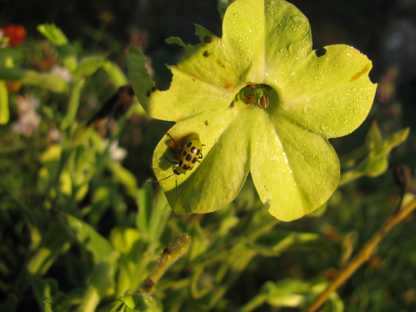 And this little bug was another participant in this morning’s gardens. So much to appreciate. So muchâ€¦wellâ€¦… GRACE. 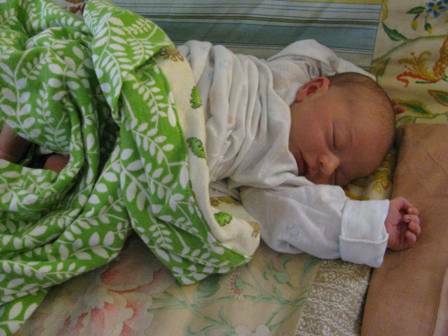 It has been a very happy week at the farm as we welcome Grace Viola Ramirez born last Tuesday! Lizzy, Miguel and Grace are doing wonderfully well, and of course, we all think she is the most amazing baby ever! Special thanks to the office honeybees who made it possible for me to be there as Grace made her appearance into the world and then spend all last week helping the new parents as they settle into their new life with baby Grace!